As people look at the situation around Planned Parenthood, we hope they recognize one particular element of their enormous resilience—the support of their community. That community has had to stay vigilant, engaged, and ready for anything, and the organization has likewise had to remain accountable to them. It’s a circle of active responsibility that can be very hard to break. In the days following a fatal attack on one of its clinics in Colorado, Planned Parenthood spoke and exuded resilience. “We aren’t going anywhere. These doors stay open,” tweeted the Planned Parenthood Twitter account on November 29th, just a few days after a shooter opened fire in a health clinic in Colorado Springs, killing three people and injuring another nine. Slowly but surely, Planned Parenthood clinics reopened around the country, not only as a message to their detractors, but also as a commitment to their patients. Less than a week after the attack, Planned Parenthood moved forward to open a new clinic in West Hollywood near L.A. on Tuesday. While the clinic is not surrounded by the same controversy seen in other more conservative areas, the opening is a symbolic act of resistance and resilience from the Planned Parenthood community and a commitment to keeping its doors open. The new clinic will be offering its normal range of services, from STI testing to abortions, for which the regional president of Planned Parenthood, Sue Dunlap, is making no apologies. In particular, the clinic will offer medications for HIV infections, aimed at serving the area’s gay community. In reaction to the shooting, Planned Parenthood tweeted condemning the “incendiary rhetoric” that may have contributed to the shooting. In addition, Planned Parenthood has also said the contentious undercover videos, which nonprofit officials argue skewed facts about fetal tissue donation, have also created a climate of retaliation, which includes some in Congress fighting to defund the organization. 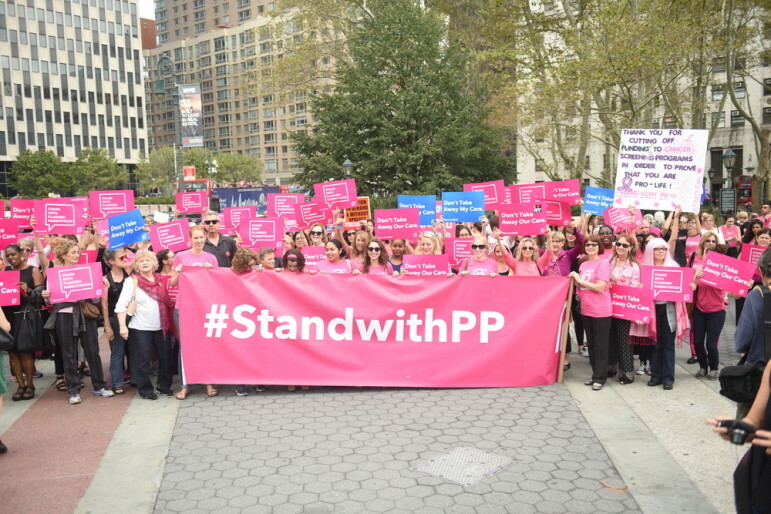 Whether or not the recent vitriol contributed to last Friday’s shooting, what is evident is the tremendous amount of support Planned Parenthood has received for providing health services. Clinics, other nonprofits, and individuals around the country have been tweeting pictures of themselves affirming their dedication to Planned Parenthood and its commitment to providing safe areas since the shooting.